Those of you who follow me on Twitter would know that Pete and I recently visited Bali for the first time and as such have been rather busy of late. We have been itching to get back into the kitchen. 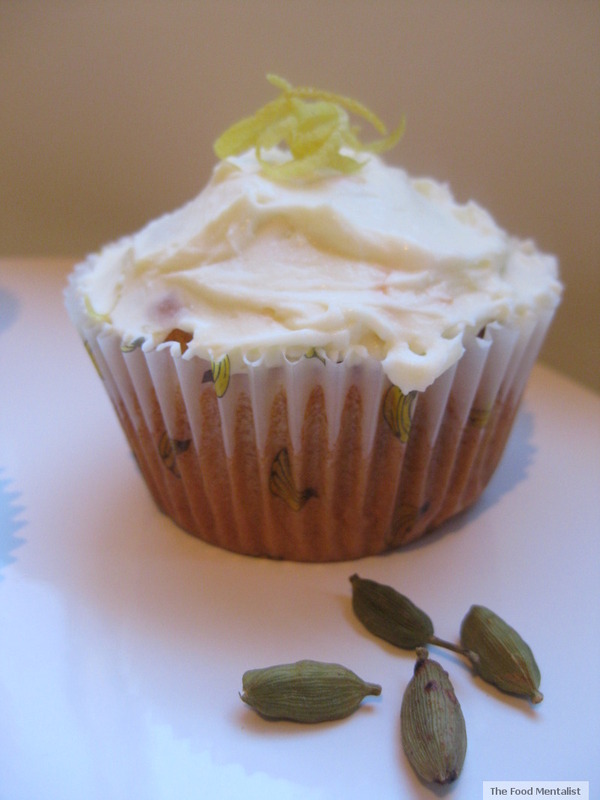 Enter Carrot & Cardamom Cupcakes. I found this recipe in a cookbook of mine titled ‘Cupcakes’ by Susannah Blake and after checking in with the Cookbook Challenge to see how far I had fallen behind I knew this was the perfect recipe. You see it combines the last two cookbook challenge themes: ‘cup’ and ‘spice’. Perfect. Firstly, please don’t judge me for combining the two challenges into one, it just had to be done. I was too far behind. 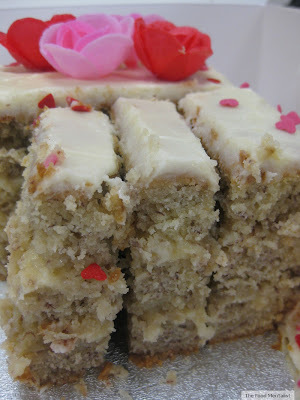 Now, this recipe is super easy and the cupcakes are just divine! My mum called them ‘Adult cupcakes’ as they aren’t overly sweet and the flavours are suited to a more discerning palate given the addition of ginger and cardamom. That said, they are really moreish and I’m sure kids will still love them. The mascarpone icing really adds a little extra oomph! And everybody loves a cream cheese icing, right? Here is the recipe, hope you enjoy them as much as we did. Put the sugar in a bowl and break up using the back of a fork, then beat in the oil and eggs. Stir in the orange zest, crushed cardamom seeds and ginger, then sift the flour into the mixture and fold in, followed by the carrots and nuts. Spoon the mixture into the paper cases and bake for about 20 minutes until risen and a skewer inserted in the centre comes out clean. Transfer to a wire rack to cool. 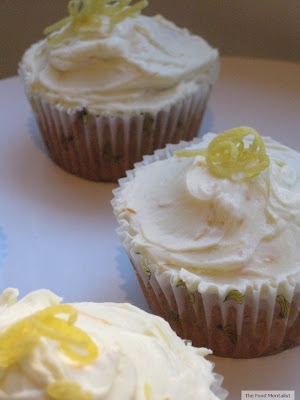 To decorate, beat the mascarpone, orange zest, lemon juice and icing sugar together in a bowl and spread over the cupcakes. hehe yes i especially love cream cheese icing! These look and sound amazing, my sort of cupcakes! Yummy cupcakes...Carrits and cardamoms make a great combo...we use this combo to make an Indian dessert called gajar ka halwa! Your recipe is perfect and the pic is droolworthy! WOW these cupcakes look soo delicious!! 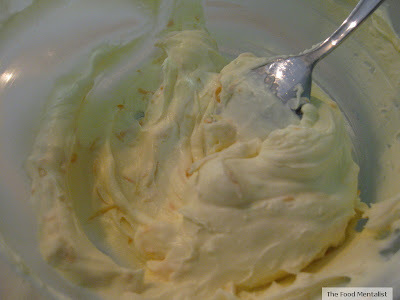 I love the orange zest on top, gorgeous! Loving your blog and so glad to be your newest follower :) Feel free to check out the giveaway going on over at my blog! 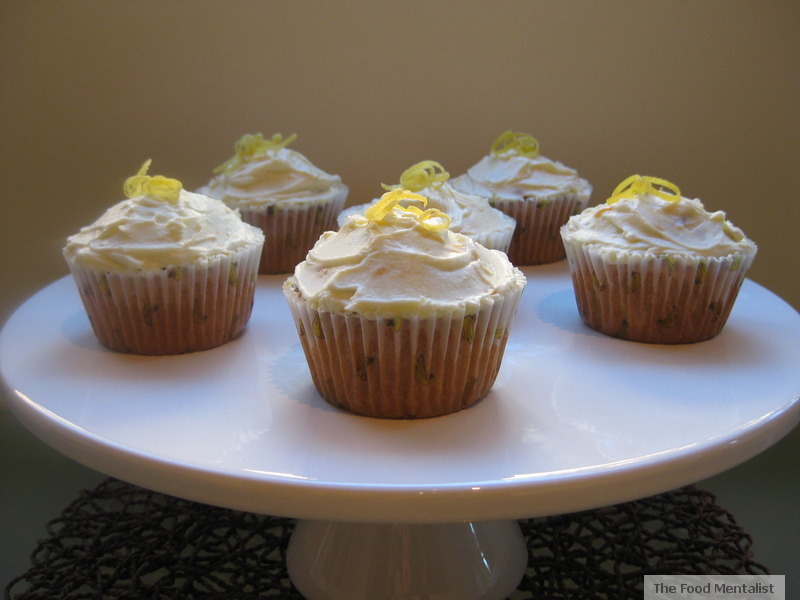 I adore cardamom so these cupcakes sound really delicious!